Gavroche, a character in Les Misérables, leads a brief but significant life. He is the oldest son of the Thénardiers and has two sisters and two brothers. The parents are not pleasant to him and encourage him to become a street urchin at a very young age. There are many children without homes in France during this period of the early 1800’s. Gavroche and other young kids sleep in an unfinished elephant-shaped statue that Napoleon had started building. Gavroche is quite a different child from so many of his street companions. 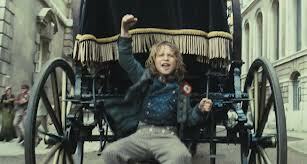 Throughout the movie, Gavroche displays his character of helpfulness and cheerfulness to everyone. He takes a note from Marius to Cosette although he knows little about their relationship. Gavroche just realizes how important it is for Marius to get his letter delivered to Cosette, and he readily offers to do so. During the delivery of the letter, Gavroche meets Jean Valjean. Jean Valjean advises Gavroche to stay away from the revolutionaries so he would not get himself killed. The two do not meet again until the end is near. Gavroche never appears sad and is quite inspirational to others. He is always willing to help and goes out of his way to accommodate the needs of those less fortunate than even he. His demeanour is one of cheerfulness, and he never appears to think of himself as a “victim”. One would never classify Gavroche as a “normal” street person. Gavroche’s character represents courage and fortitude. 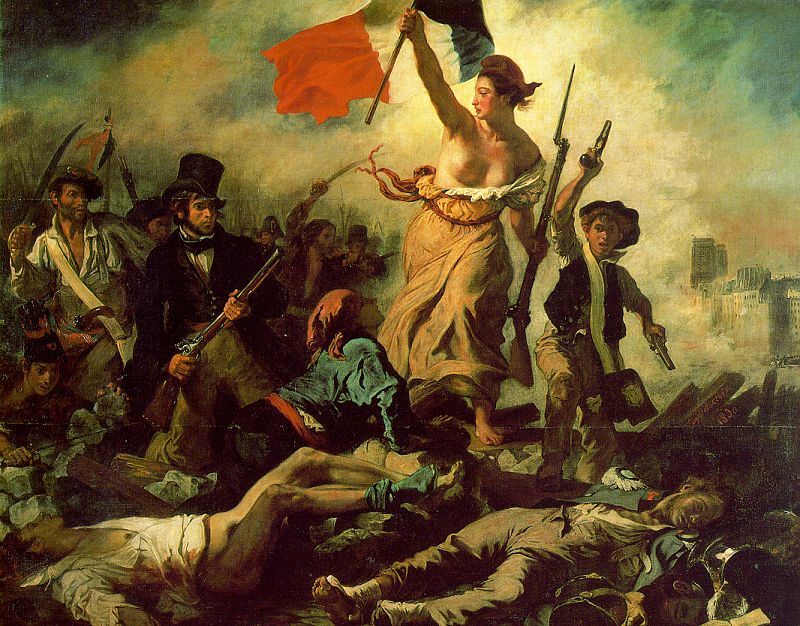 He willingly gives his all to help others and to fight for the rights of the people during the French Revolution. It is reported that he died on June 5th of 1832. His age at the time of death is estimated to be 12- 13 years old. Gavroche fought side by side with many other students in Paris, and when the ammunition was gone, he gallantly risks his life to retrieve ammo from the fallen enemy soldiers. While doing so, true to his nature, he sings an uplifting tune as though he doesn’t fear the inevitable. From beginning to end, Gavroche displays an even-keeled, uplifting nature. He brings spirit and hope to everyone around him. His character is very noble and inspiring without being showy. His actions are motivated from his heart and not from a need for personal gain or recognition. Gavroche represents what everyone should strive to be, a generous individual who selflessly gives his all for the betterment of those around him. 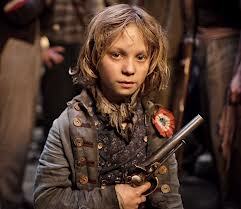 Gavroche represents the ultimate sacrifice for freedom of many innocent people during the French Revolution. "And little people know, when little people fight, we may look easy pickings but we've got some bite! So never kick a dog because he's just a pup - we'll fight like twenty armies and we won't give up. So you'd better run for cover when the pup grows up!" Gavroche was chosen to resemble the young boy in Liberty Leading the People.